You are currently browsing the tag archive for the ‘Tedd Pierce’ tag. 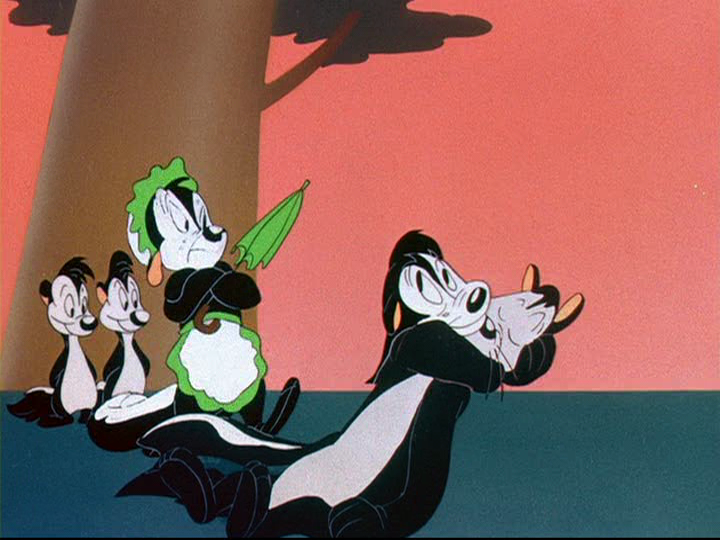 ‘Odor-able Kitty’, marks the debut of that French-speaking, amorous skunk Pepe le Pew. In his book ‘Chuck Amuck’ Jones reveals that this character was based on story man Tedd Pierce. In any case, Pierce wrote the story, but how much of himself he had put self-knowingly into this smelly Don Juan remains a mystery. Oddly enough, in his first cartoon Pepe turns out to be a fraud, being married and having two children. Even his voice changes in the end of the cartoon. But before this surprising finale he’s genuinely Pepe, complete with quasi-French accent, strange hop (including Stalling’s typical theme music), and a love for cats that look like skunks. Only, in ‘Odor-able Kitty’ this is a male cat, who deliberately disguises himself as a skunk to get a happier life. He has one, until Pepe hops along. In the end, the cat washes himself and returns to his former life as victim of maltreatment, exclaiming “this is the life!”. Pepe le Pew’s character didn’t really develop after this film, and all his films have more or less the same story as his debut film. 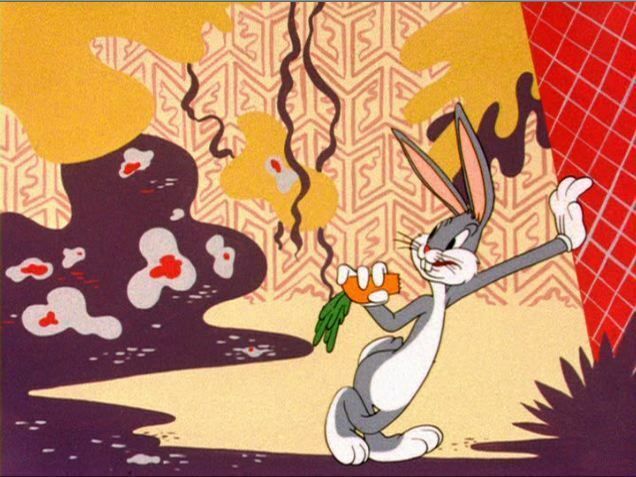 Nevertheless Pepe would be one of the most successful of the characters conceived by Chuck Jones, second to the Road Runner and the Coyote, only. 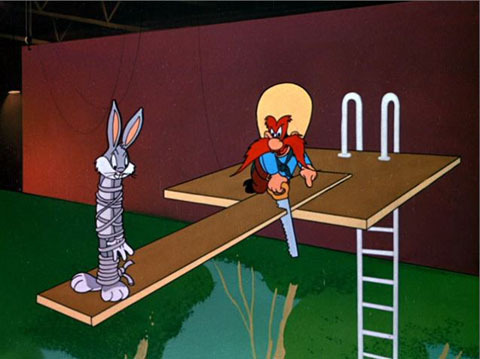 He lasted until 1962, starring fourteen more cartoons.